I love this idea! Check out all the different ways you can use it on Craft Ideas Info. 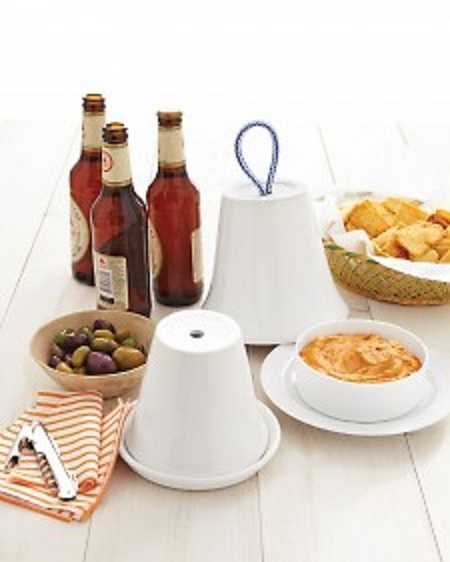 It’s a pretty way to add a centerpiece to a small table. Here is a link for the tea light inserts on Etsy. 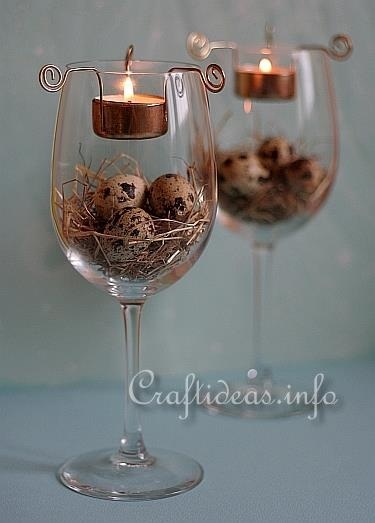 You could also make your own with a little wire and a good glue like E6000. 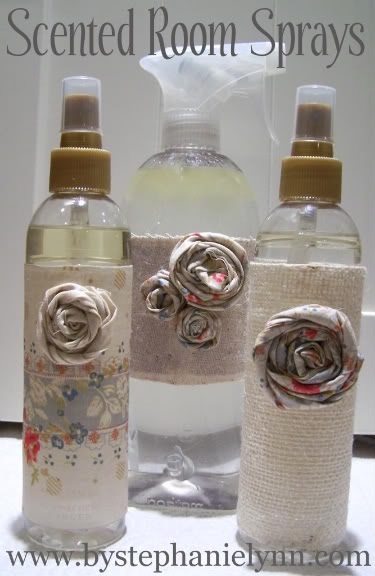 This easy to make room spray can be found a Under the Table and Dreaming. I love how she has decorated the spray bottles. This would make a nice gift. 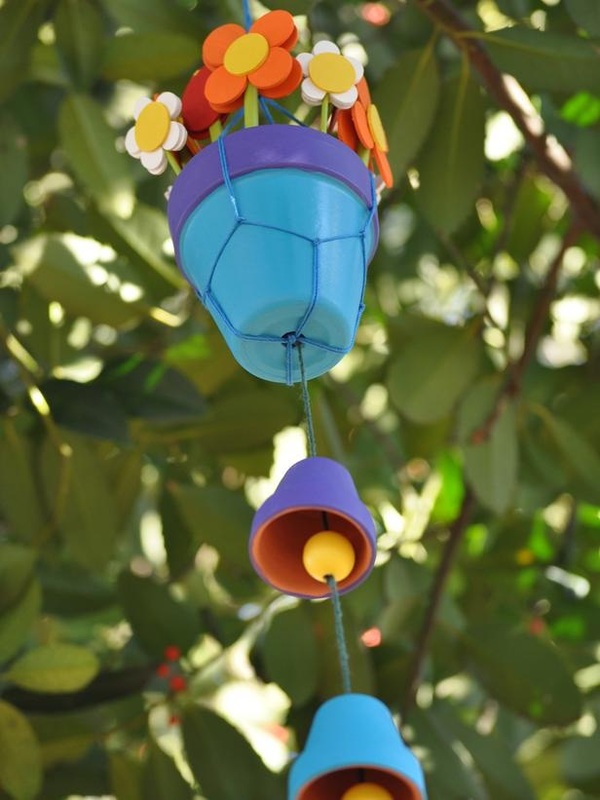 Here are colorful wind chimes from HGTV. You can find clay pots at the craft store and of course your garden center. 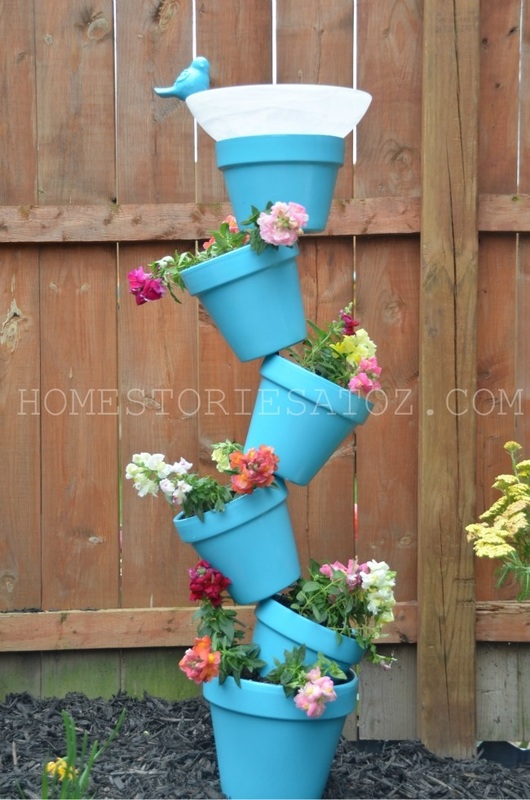 This would be a fun project to do with the kids. I like this pot cover idea from Martha Stewart. Thought it would be nice to paint the pot (or part of it) with chalk board paint and then you could label what is underneath the pot. I think this would look great in the flower bed in front of my living room window. My cat will love watching the birds. Not to worry she is an indoor cat. My Stories at Oz makes this look so easy. 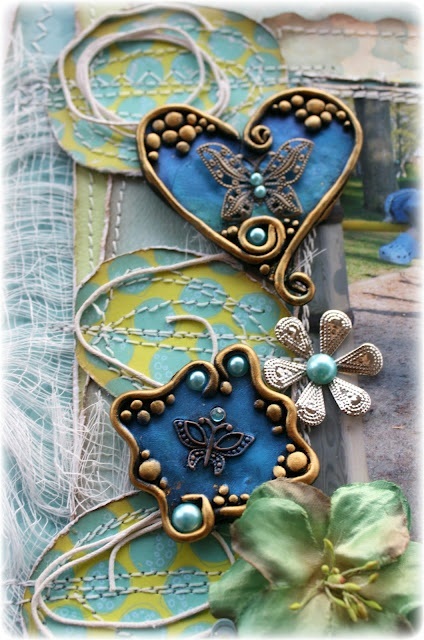 I love the pretty patina that is added to this polymer piece with Mica powders. The tutorial can be found at Such a Pretty Mess.